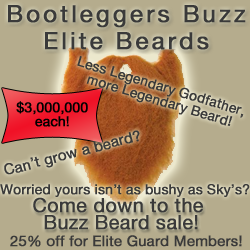 Welcome to Issue #48 of the Bootleggers Buzz. So this week our beloved ShyGuy wasn't available to help out around Bootleggers. He has a major exam on Tuesday and, as you'll all agree, exams have to come first. So I've published on his behalf and the Buzz team has done a great job coping in his absence. Unfortunately not a lot has happened this week so we don't have many articles for you! We have an interview with Sky about the general state of the game during which he explains a few aspects about the major updates. WhiteBeard covered the shootings last Sunday performed by Asura and within he explains their reasons behind this attack. Sodium wrote a very good article to explain the ins and outs of the new update to let you kick trolls out of your topic. Retribution wrote something new, a series he is hoping to make weekly, based around the history of everyones favourite Capo, TonyT. It is definitely worth a read and is very interesting. We also have yet another 2,000 characters from our beloved leader BSF2000. Well worth a read. Of course there is the weekly comic by RatFacedRay and in our weekly flash you can once again see the OC averages for this week. One extra feature which isn't a major update for you guys, but is for us at the Buzz, is that we can now see how many times each article has been read. We can't track who reads them but it does help us to improve in a number of ways. But hopefully this next week will be a better week and that falls to each and everyone of you! Finally we said farewell to a great writer and valued member of our team, Pjutters. He had to leave us for his own reasons and we will all miss him. So that is this weeks edition of the Buzz sorted and hopefully next week we should have the amazing ShyGuy back and working hard! 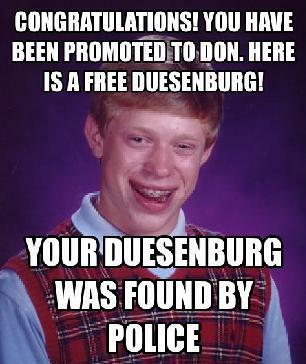 We may even have to give him a big congratulations on a job well done with his final exams! I sincerely hope you enjoy this weeks Buzz and that we receive lots of comments and feedback to help us all improve next weeks edition! Happy hunting and please, somebody fire their gun? Another 2,000 characters from BSF about the state of the game. A new series about the story of our Bootleggers character before each and every one of us took control of him. A smart computer that can diagnose anything! We witnessed another one of Asura's shooting sprees this last week. Sky gives his opinion on the current game, some interesting reasons for the delays on the major updates and a few other remarks about the state of the game! A list of everyone who died this week.